I had a craving to do some embroidery this past week. I know it’s not perfect (I redid the rainbow three times), but I still thought I’d share with you. Just in time for Easter! 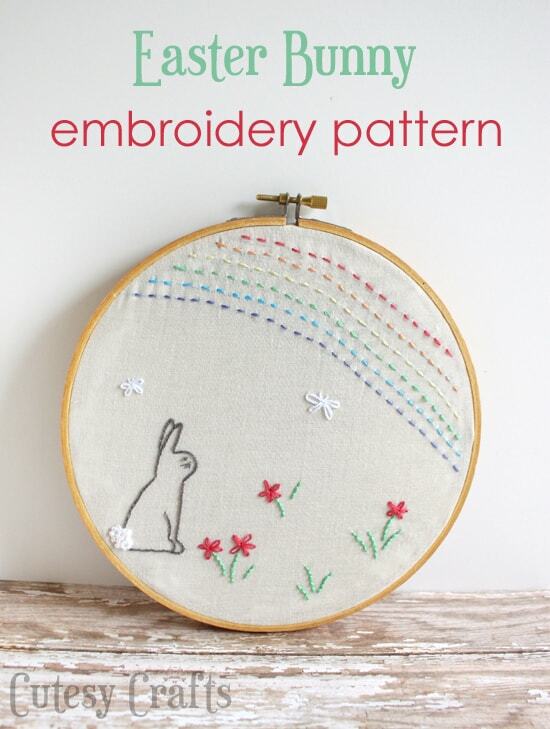 To get the free embroidery pattern, follow the instructions at the bottom of this post. 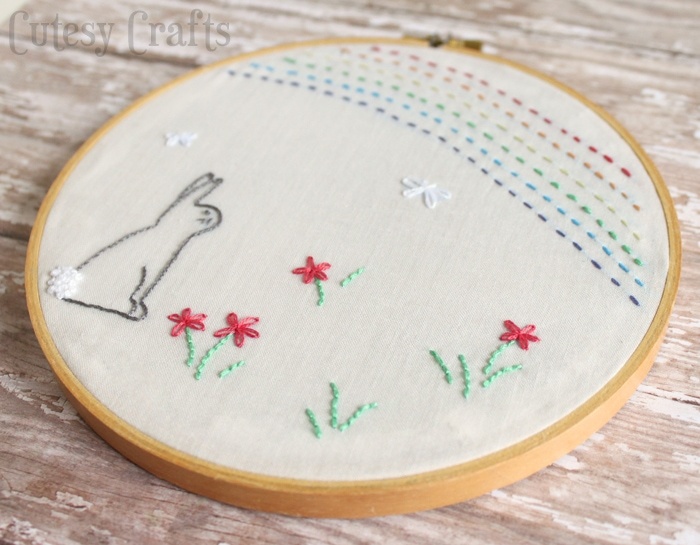 I think the little bunny and the flowers came out pretty darn cute. 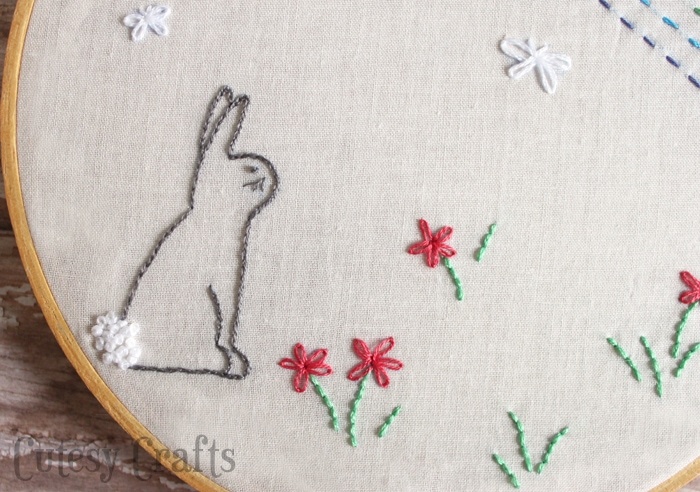 Don’t you love his little french knot tail?! 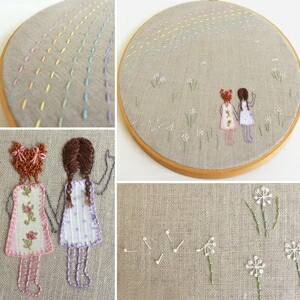 What is it about french knots that always looks so great? And if you look at it from an angle, the rainbow looks almost straight! 😉 Oh well, it gives it character, right? Just make yours better. 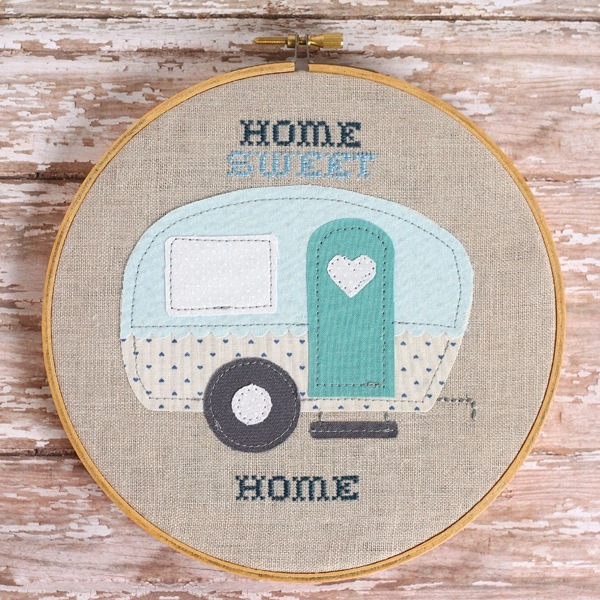 I didn’t know what else to embroider on, so I just kept it in the hoop. I think I’ll just set it out as an Easter decoration. 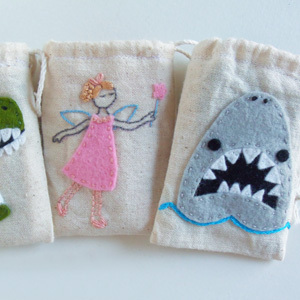 It would be cute in a nursery or something too. You don’t have to make it for Easter. Very cute! I’m looking to start a hoop art collection, but I just sent the first piece of embroidery I’ve completed in a couple years off on a submarine with my husband! 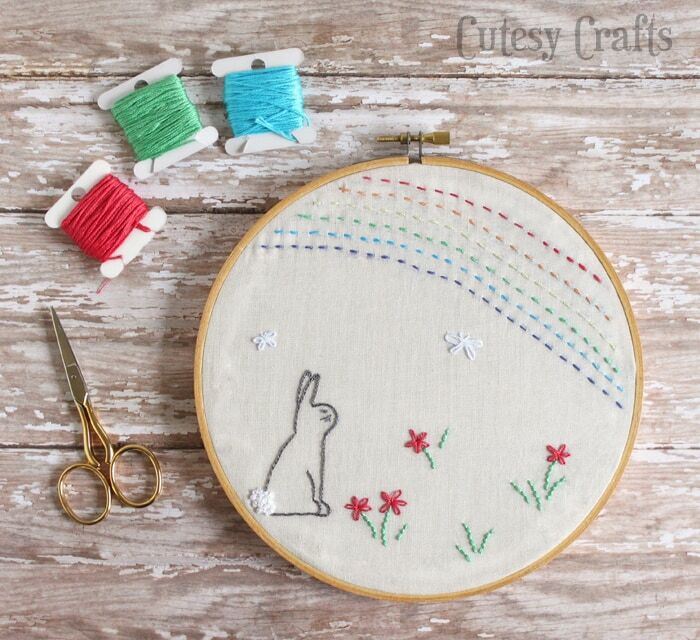 I’ve never used fabric (like in your hoop art post) with my embroidery, but I’ll have to read up on the technique before I get started on my wall. This is such a sweet pattern! 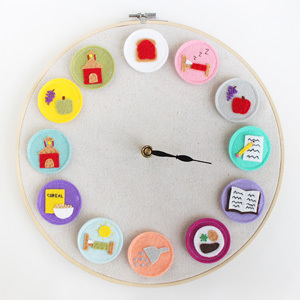 I’ve included a link to your project in my latest blog post: http://abusylittlebird.com/easy-craft-ideas-for-spring-celebrations. Thank you! Thanks for including my project! That’s a great list of ideas!